Additional Info: Full of marshes, bogs, flood waters, and unpolluted lakes and small rivers, loved by those who enjoy hiking and cycling trips, angling and canoeing. Poland's gardens of nature include the amber beaches of the Baltic Sea, lakes and rivers, mountains and forests. Marked hiking trails are abundant and marked on most maps. The hiking is fantastic as Poland is full of forests and changing wildlife throughout the year. The most popular place for hikers is the Tatra Mountain range. The Tatra Mountains constitute a mountain range which forms a natural border between Slovakia and Poland. Rysy, at 2,499m, is the highest Polish peak. The Tatra Mountains are the highest mountain range in the Carpathian Mountains. Although considerably smaller than the Alps, they are classified as having an alpine landscape. Their high mountain character, combined with great accessibility, makes them popular with tourist and scientists. Zakopane, the starting place in Poland to access the Tatra Mountains, can be reached by bus or train from Krakow. From Zakopane take a bus to Lysa Polana (on the border) or to the Morskie Oko car park (still quite a walk from Morskie Oko itself, and you have to pay to enter the national park here). The most exciting trails are closed from the 1st November - 15th June. July and August are very busy, so it's nicest to go in June or September. Also, check out the Pieniny National Park, in the heart of Pieniny Mountains. The Pieniny mountains are mainly built from limestone and they create picturesque and impressive, almost perpendicular walls which go down towards the Dunajec River. There are 21 miles of tourists hiking paths in the park, from such peaks as Sokolica and Trzy Korony one can have excellent view on the Pieniny and the Tatra mountains as well as the Dunajec. Then you have the Karkonosze, a mountain range in the Sudetes in Central Europe. The mountains stretch from north-west to south-east and form the border between Poland and the Czech Republic. The national park has around 70 miles of walking routes, 10 ski lifts and 12 mountain houses. Hiking in Karkonosze is most attractive from mid-May through mid-October. From Warsaw, try taking a train to the Bialowieza Primeval Forest, known Puszcza Bialowieska in Poland, an ancient woodland straddling the border between Belarus and Poland. 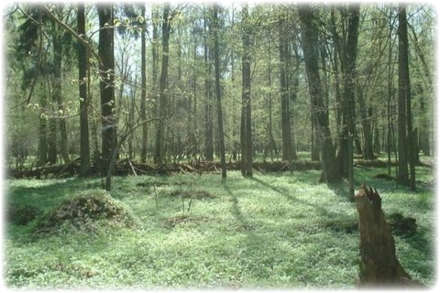 It is the only remaining part of the immense forest which once spread across the European Plain. It lies in south-western Belarus and near the town of Bialowieza in the Podlachian Voivodeship (118 miles north-east of Warsaw) in Poland. The border dividing the 2 countries runs across the forest. While as yet still unmarked, five of the EuroVelo cycle routes run through some of Poland. EuroVelo, the European cycle route network, is a project of the European Cyclists' Federation to develop 12 long-distance cycle routes crossing the whole continent of Europe. 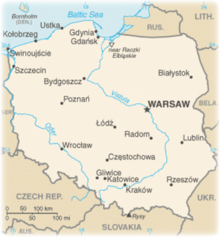 The EuroVelo routes that include Poland are 2, 4, 9, 10, and 11. Some interesting notes on cycling in Poland: Children need a permit if not accompanied by adults; bikes must have red reflectors and lights at the front; drinking and cycling is illegal; bike theft is a more common occurrence here; cycling facilities and cycle tracks/lanes are few here; bikes are permitted on trains although you need to buy a ticket for the bike (usually cheaper) and put the bike in the luggage car; Polish summer's bring long heavy rain showers. Read up on traffic regulations before taking on main roads and thoroughfares in cities.